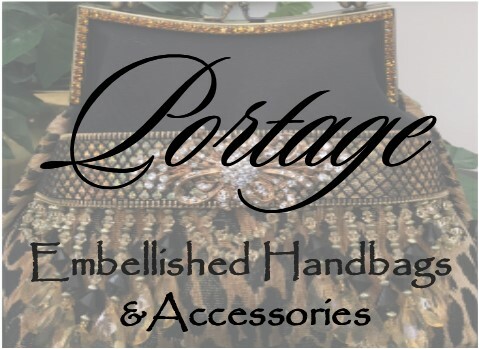 Valerie N jones creates one of a kind handbags with beautiful embellishment. 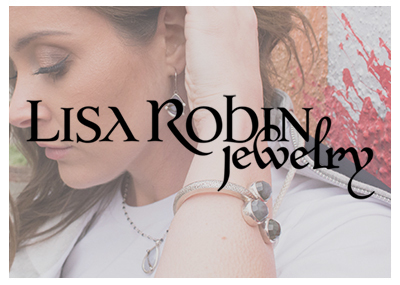 Lisa Robin Adkinson's dream: to create an ever-expanding and beautifully bejeweled, compassionate, accepting, and loving community while making the world a more beautiful place. .
Coral Marie is an Ohio based, consciously handcrafted slow fashion collection & custom clothier. 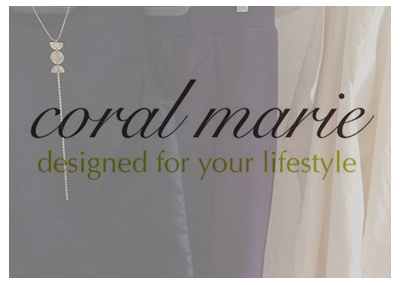 The Coral Marie Collection is comprised of limited edition slow fashion, offering timeless options for every season. Each item is designed and responsibly handcrafted in small batches in my solar powered studio. 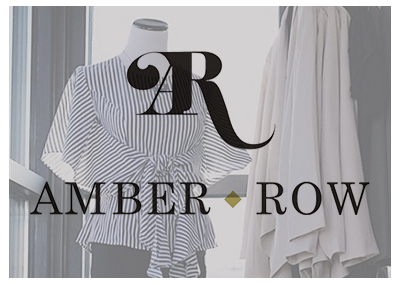 Amber Row is a European-inspired mobile boutique for the modern woman who wants and can have it all. We believe in quality clothes that move with you, allowing you to effortlessly navigate throughout your day and into your evening. 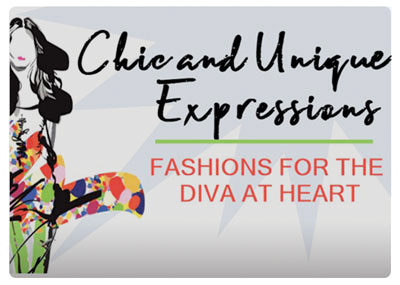 Beautifully curated apparel comes together as the Chic and Unique Expressions collection. Pieces range in sizes and are selected to suit a variety of body types. All for the diva at heart! In an industry filled with bright colors and patterns, mrly stands for high-quality, super comfy everyday clothes that allow kids' personalities to do the talking. L. Leslie Designs creates one of a kind art to wear clothing. Using hand dyeing and hand felting techniques, designer Lynne Saad creates exciting and colorful apparel. She is the recipient of a distinction of merit award Cleveland Museum of Art 2015 TAA show. Everything about Malvar-Stewart’s designs is unconventional and eco-friendly – and drop-dead gorgeous. She uses wool and alpaca from Ohio family farms and local natural dyes that are timeless and authentic to create sustainable, hand-felted clothing so unique and personal, you will never have to worry about showing up in the same outfit as anyone else. Created by Tammy Westmoreland as a fashionable way to raise awareness, fund research and give back to families affected by Cerebral Palsy, a condition that her late son D'Jonté was born with. Cerebral Palsy is a congenital disorder of movement, muscle tone, or posture affecting 764,000 Americans. Bloombeads by Freezeframe is one of the nation’s premier floral preservation companies. Bloombeads, our exclusive flower-petal jewelry line made for a client’s actual flowers. ach jewelry item is custom-made by hand, using the actual flower petals mounted in sterling silver findings. Weddings Hats, Mother Of The Bride, Special Occasion, Religious Services Headwear,. Have a custom hat made in any size, any color, any style. Look Like A Queen, Feel Like A Lady! Developed by a make up artist seeking a better way to wear makeup that is not only looked good but was good for you.for you. While some believe that aging and getting wrinkles is all a part of developing character, many of us would like to keep those wrinkles at bay. Thanks to Frownies original facial patches and natural and organic skincare products your skin can look its best at any age. Jody McGrath and Shanna Stanaford are on a mission to create effortless wardrobes that give women stress-free mornings and days filled with confidence in every stage of life.